If you’re like most people, when you heard about Google+ shutting down, you probably didn’t bat an eyelash. Because, if you’re like most people, you weren’t using Google+ anyway. The reason Google is ending Google+ is simple. As a social network, Google+ never took off. Even with all the effort and resources put behind it, Google+ could not compete with the likes of Facebook, Twitter and Instagram. So after 7 years, Google decided to pull the plug. The official word is that Google+ will shut down in August 2019. And, with the recent news of a Google+ data breach affecting some 500,000 accounts, Google probably can’t wait until the day Google+ is gone for good. With Google+ on its way out, business owners should take this opportunity to shift their focus to another important Google site. One that has a major impact on your local marketing and online reputation. That site is Google My Business. 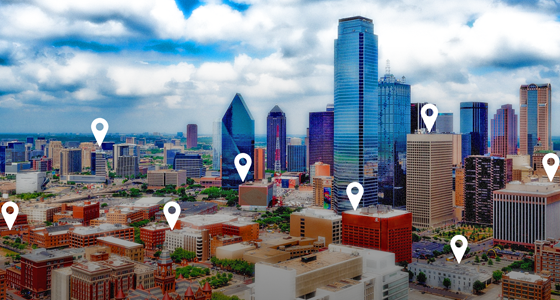 Google My Business is a free service that provides businesses an online listing and includes tools to let you manage how your business appears on Google Search and Maps. This includes adding your business name, location, and hours; monitoring and replying to customer reviews; adding photos; learning where and how people are searching for you; and more. Your Google My Business listing is a key part of your local marketing that helps you reach and engage with customers online to boost brand awareness and increase sales. If you have not already done so, you should claim your Google My Business listing. While claiming your brand’s profile is great, to get the most out of your listing, it’s important to update it regularly. So all that work you were doing posting to Google+ (and you weren’t) should be redirected to Google My Business. 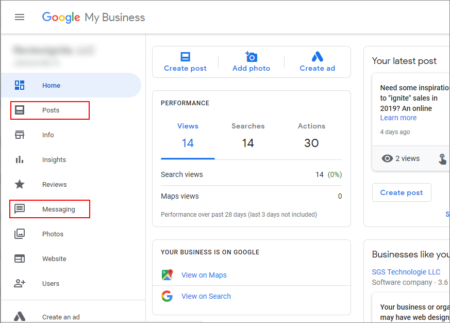 Lately, Google My Business has evolved to give businesses additional tools to promote their business and provide prospective customers information to help them find local businesses and engage with them. Google has recently added two important features you should be taking advantage of to make this happen. This feature allows customers viewing your Google My Business listing to message you directly. Business owners can respond to questions, share information and quickly connect with customers. The post feature is relatively new and can be used to keep customers updated about your business. Attract potential customers searching for your business by posting updates, events and offers directly to your Google My Business listing. Both of these features, in addition to the ones already available, provide a great opportunity for local businesses to standout online. Your Google My Business profile plays a key role in SEO for your business as well. Since most consumers start with an online search when they need a product or service, it’s important for local businesses to get in front of these consumers. For this to happen, your Google My Business listing needs to be optimized. This includes filling out your profile as completely as you can and updating it regularly. In your written content, add relevant key words and phrases to help you show higher in search results. Also, link back to your company website and social accounts. In addition, engaging with customers by responding to reviews and answering questions (as mentioned above) can boost online visibility. Google is one of the most popular sites where people leave online reviews. As a result, your Google My Business listing plays a key role in your brand’s online reputation. As your business acquires reviews, Google calculates an average star rating for your business. This rating is prominently displayed on your Google My Business profile and in local search results. Your average star rating is critically important to your business. When someone leaves a review about your business on Google, it’s important that you respond to these customers promptly. Also, to help drive more fresh online reviews, ask your customers to leave a review about your business on Google. Now that Google is throwing in the towel on Google+, it’s a good time to take stock regarding how you are using Google to grow your business. Of all the Google properties available to local businesses, Google My Business should be at the top of your list. This free tool can help you attract more customers, build your online reputation and grow sales. If you haven’t already, claim your brand’s Google My Business listing and update it regularly. From a local marketing standpoint, it is just as important to have an optimized Google My Business profile as having a company website and social accounts. With Google+ shutting down, how is your business planning to leverage Google My Business going forward? Let us know in the comments below. Need help with building your brand’s online reputation? ReviewIgnite specializes in helping businesses leverage their online reputation to improve their brand image, attract more customers and increase sales. See our online reputation management software in action. Contact us to get your free, no obligation demo today!